We’ve all had those weeks where some lessons just don’t go right and then we have those weeks that go better than expected and those experiences are why we are in the classroom to begin with. Last week my students and I dived into the world of Helen Keller. For those not familiar with the story, Helen Keller is a biography about a young girl who is deaf and blind. She overcomes many challenges while growing up and her story is just beautiful. 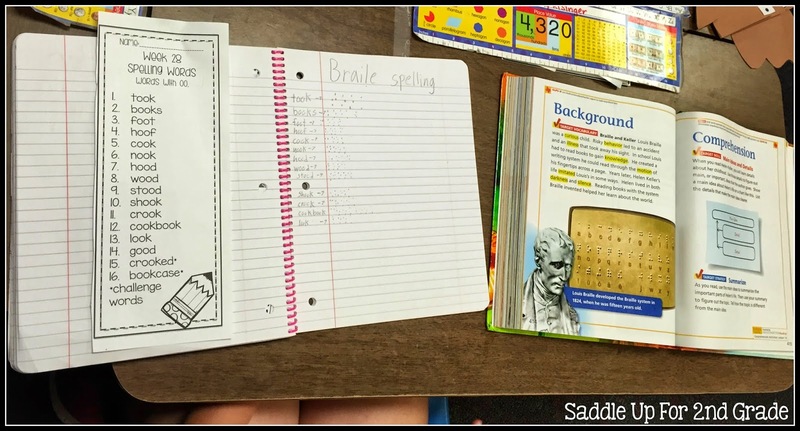 This year, I really wanted my students to grasp the concept of what it would be like to blind. None of my students have ever been around anyone with that sort of disability before. Before we read our story I explained to them a little about what we were going to be reading about and I let them ask any questions they might have had. 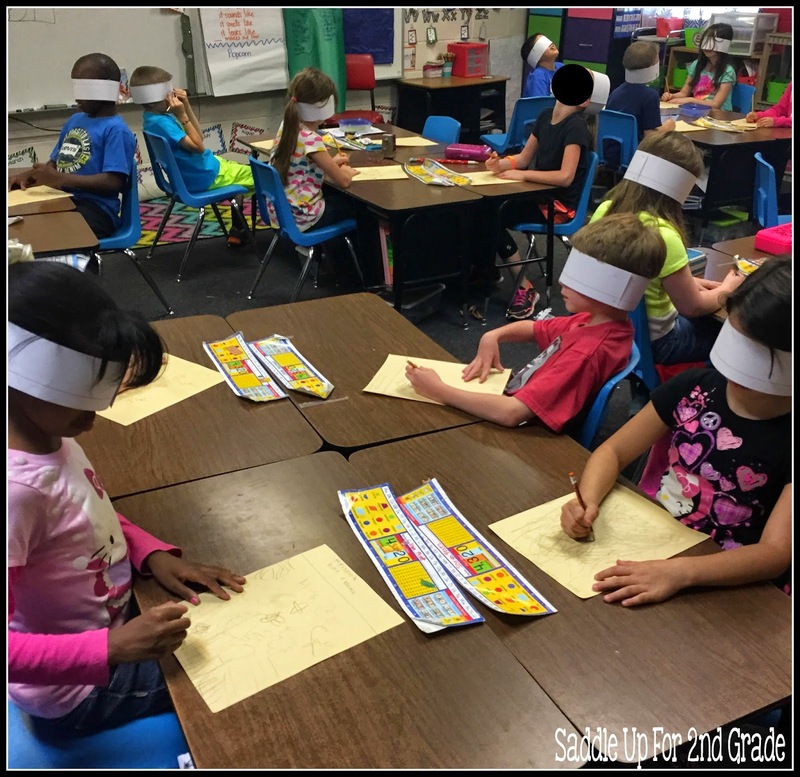 After all of our questions had been answered, everyone was “blindfolded” (I used sentence strips) and the lights were turned off. I laid a sheet of drawing paper and a pencil on everyones desk. 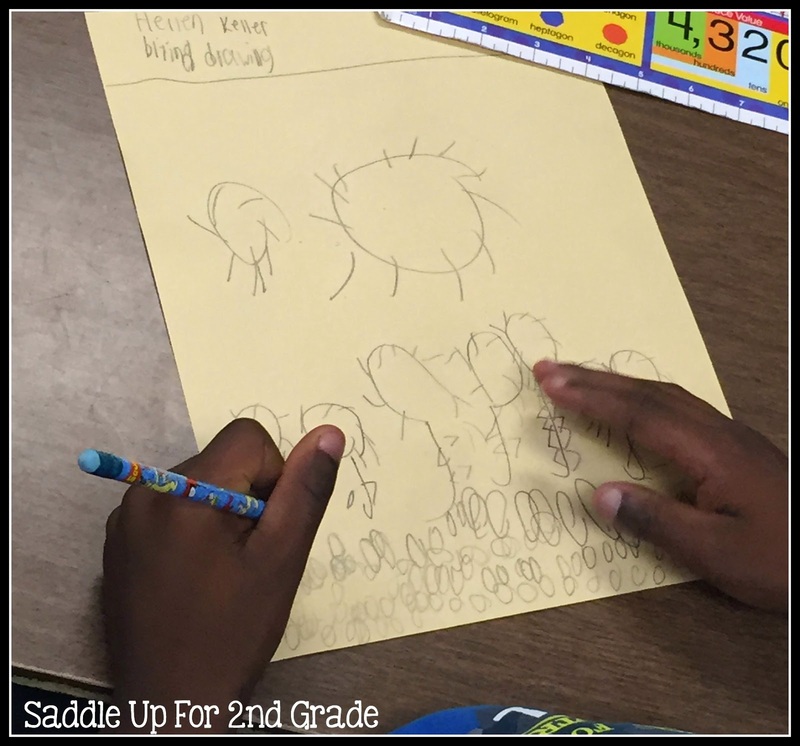 They had to find their paper and pencil, then draw a picture of spring. I immediately heard things like “but we can’t see anything”. EXACTLY! That is my point little sweeties! I snapped this photo right before I let them take their blindfolds off so that the picture wasn’t dark. At first there was lots of complaining that their picture was going to be ugly because they couldn’t see. 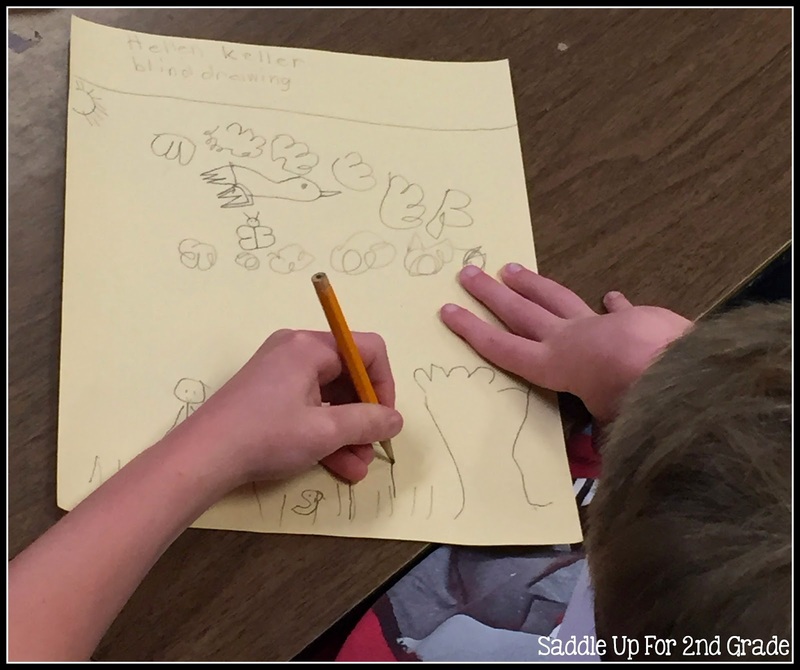 We talked about ways they could draw without seeing the paper and techniques they could use such as not picking up their pencil. After a few minutes, the complaints went away and they started to enjoy it. Once the activity was over and I turned on the lights and they could see their drawings, just about everyone one of them immediately began to laugh at their own drawing. I then said to them “what if we had a blind student in our class, would you have laughed then”? They immediately stopped laughing and got a real serious look on their face. We had a big discussion about what it would be like to have a disability such as blindness and how we would have to adapt our lives. It went so much further than I intended it too but it was such a good experience for them and really opened their eyes to the story we were about to dive into. 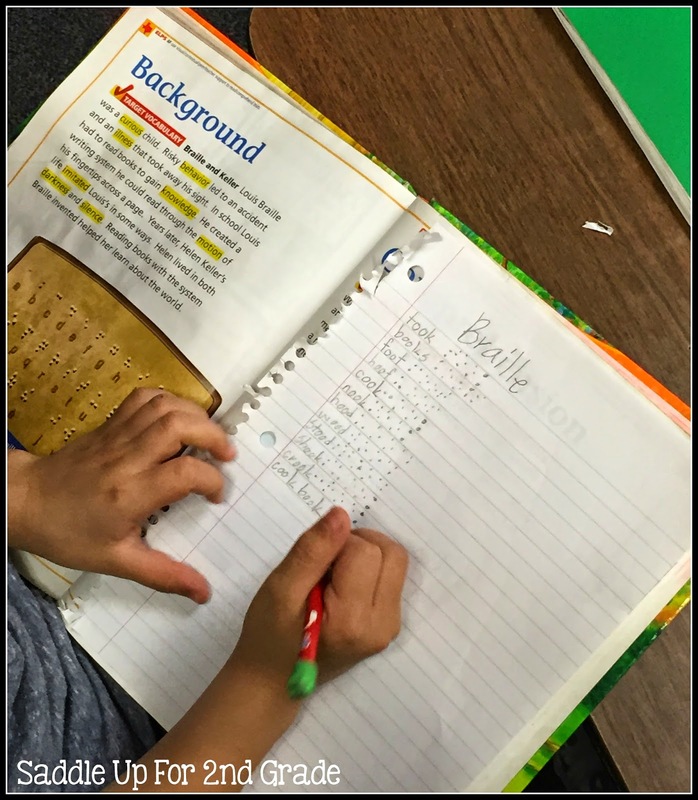 After learning more about Helen, the students began to ask a lot of questions about braille and how it was read. 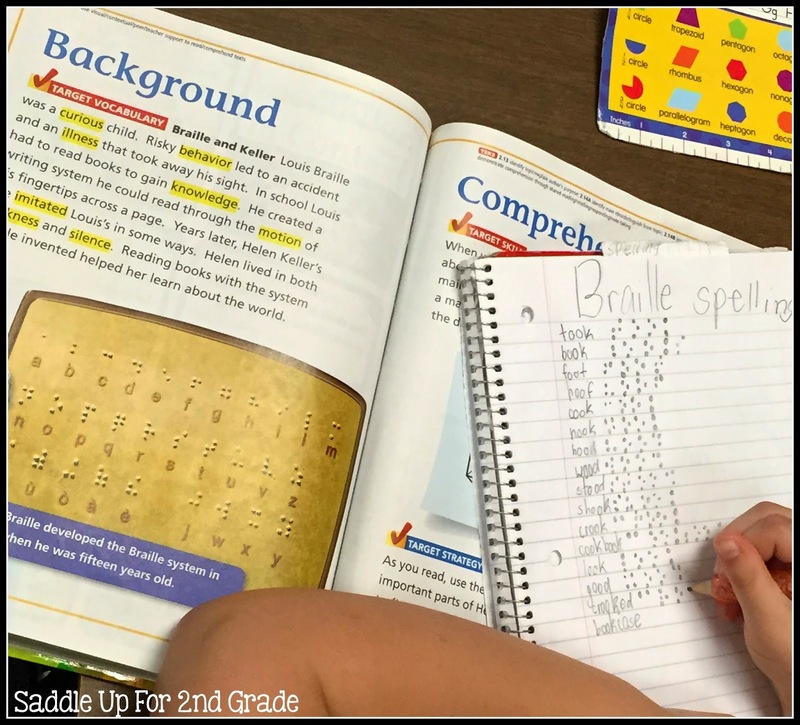 Our Journeys book had a photo of the braille alphabet in it and our spelling lesson one day consisted of writing our spelling words in braille. I then would spell a word out on the board and they had to try and guess which word I spelled. They loved this. I wish we had access to actual braille materials but unfortunately we don’t. We had a field trip to the zoo last week and they were excited to see braille on signs everywhere. This was one of those lessons that was so simple but so effective to their little minds. They learned how to be more caring and considerate towards others and really enjoyed learning all about Helen’s story. I have a feeling that this will be one of those lessons that they always remember from elementary school or at least I hope it will be.